Safety skirt and shoe bag for Ovalie 4.30 m trampoline. Safety skirt for oval Ovalie 430 trampoline with shoe bag. The safety skirt frames the inferior area of your oval Ovalie 430 trampoline. 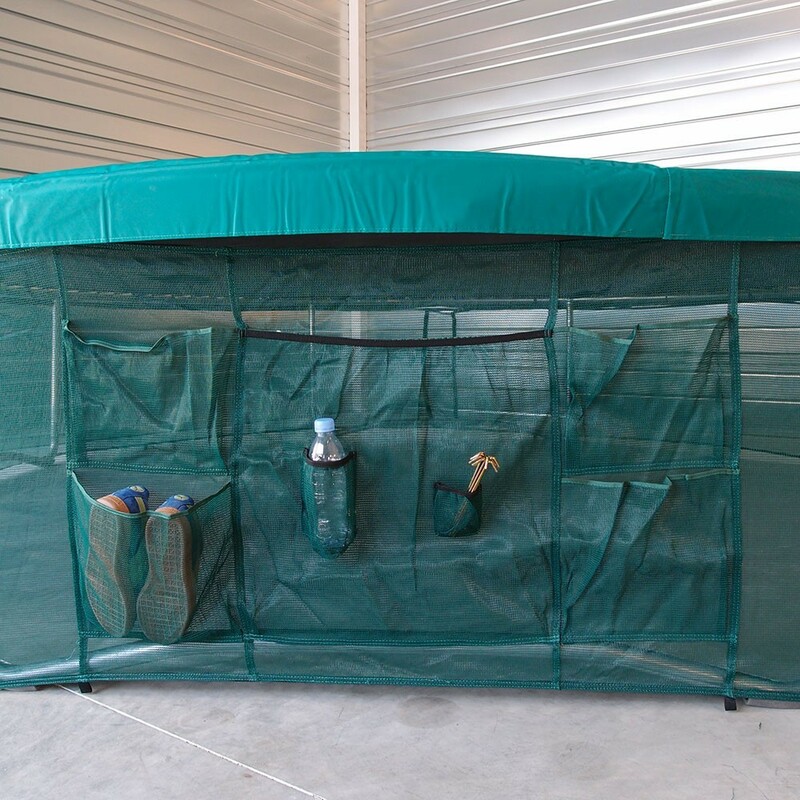 This prevents access to beneath the trampoline, which can be very dangerous if the trampoline is in use. When you bounce on the trampoline, the jumping pad stretches closely to the ground. It will therefore protect your children and pets from any potential danger. - The netting on the safety skirt is fine, but allows light to pass through it. You will easily be able to check that there is no one underneath, before using the trampoline. Any risks of injury are therefore prevented regarding children, animals and yourselves. 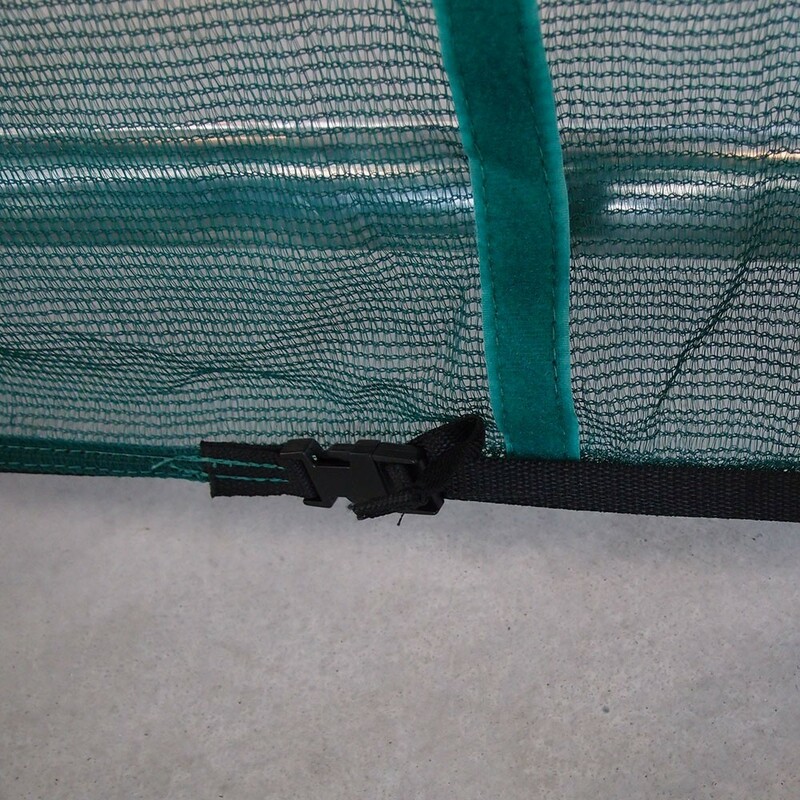 - The shoe bag is sewn to the safety skirt, so it is also a useful trampoline accessory. Five large pockets will allow you to tidy away your shoes, jumpers, children’s snacks and other important items such as keys and telephones. You can be sure that nothing will fall out of your pockets whilst you jump on the trampoline. 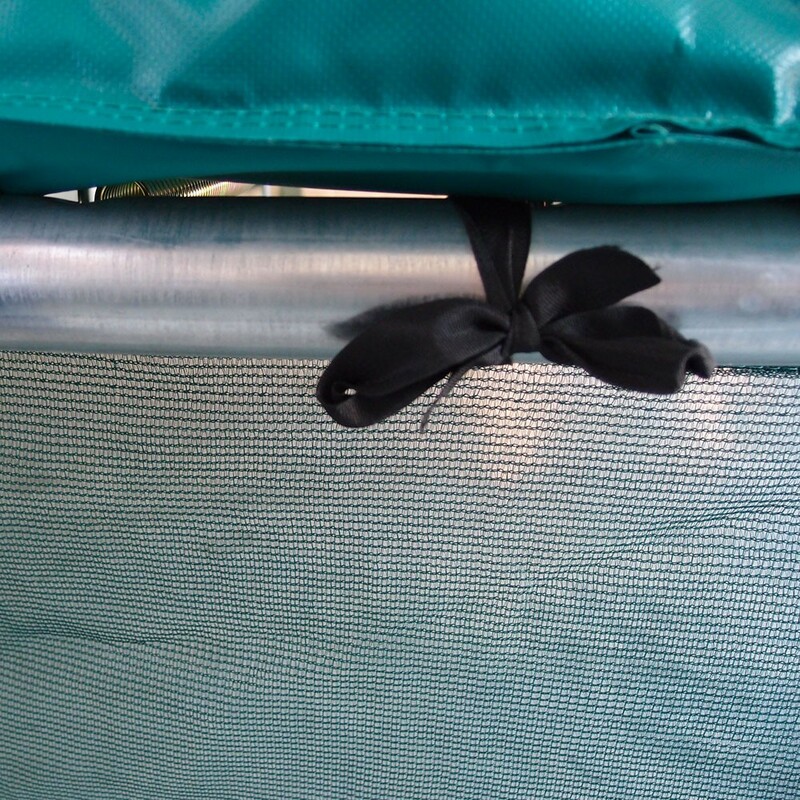 - The safety skirt attaches to the steel framework of the trampoline. In order for it remain stable and unyielding, metal rods are used to attach it firmly to the ground. You can then add a safety enclosure if you so wish. - This safety skirt is adapted to the Ovalie 430. Très bon produit. Juste dommage qu'il ne soiit pas fourni avec le trampoline. Excellent produit qui est indispensable pour l'hiver.